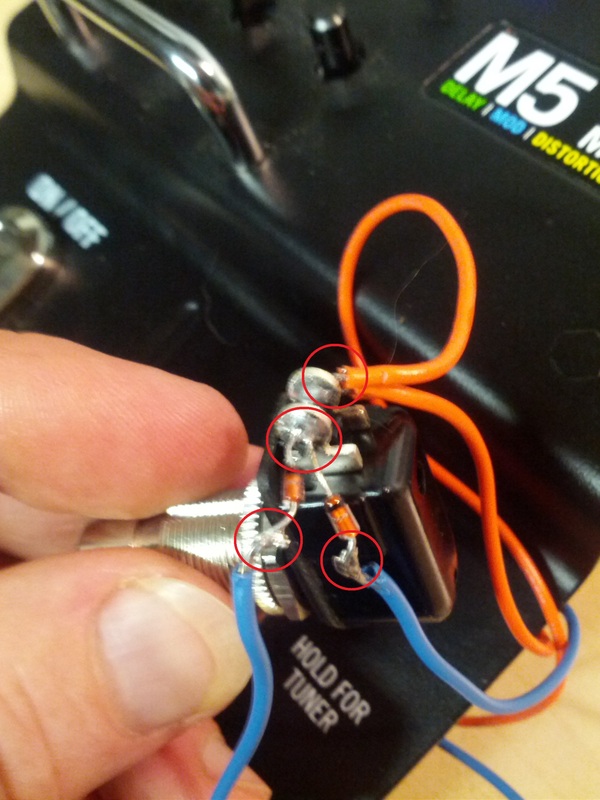 Line6 M5 “Dedicated Scene Select Footswitch” Modification – Paul Aitken. Guitar. I’ll post this information because I had a hell of a time finding information for this mod. 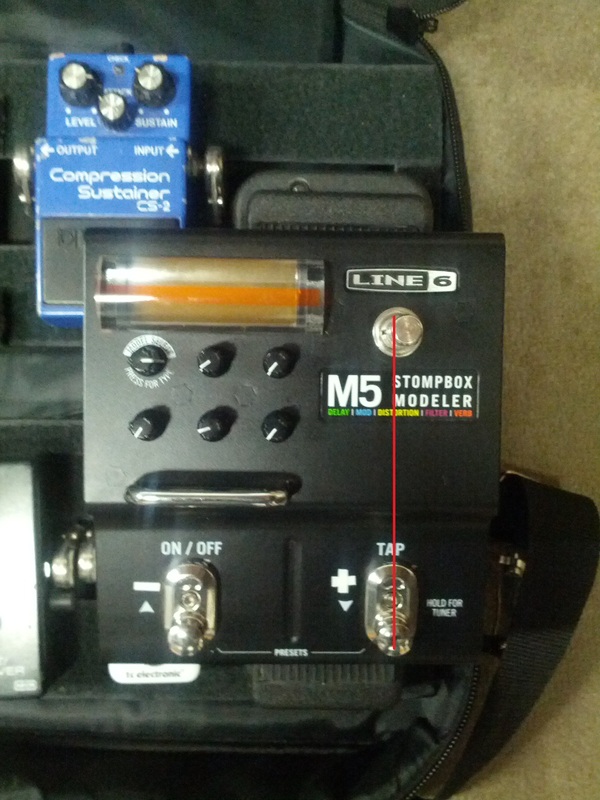 JHV3 offers it as the Line6 M5 “Dedicated Scene Select Footswitch” Modification. This allows the M5 user to use only one switch to toggle the preset scroll screen, rather than having to aim for (and usually miss) hitting both footswitches. Much better for live use. I figured I’d try to do it myself. This mod will also presumably work for the Line6 M9. With help from this tutorial on replacing the M13 stock switches (something that I’ll do to the M5s eventually) I managed to do this mod myself. And it was quite simple once I figured out where to position the new switch! 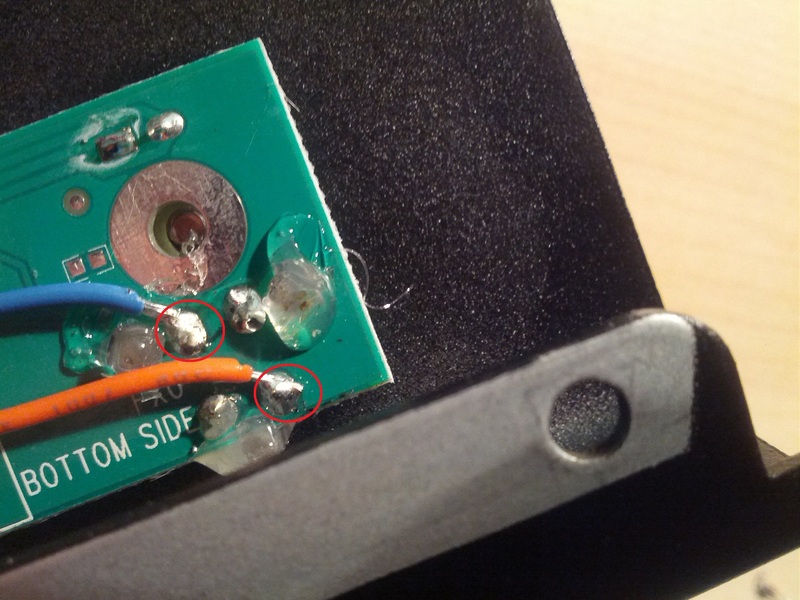 You may have to clear away some hot glue so as not to dirty up your soldering iron. Once connected, I used a little more hot glue over the connections, just for redundancy. 6) Connect to the switch. 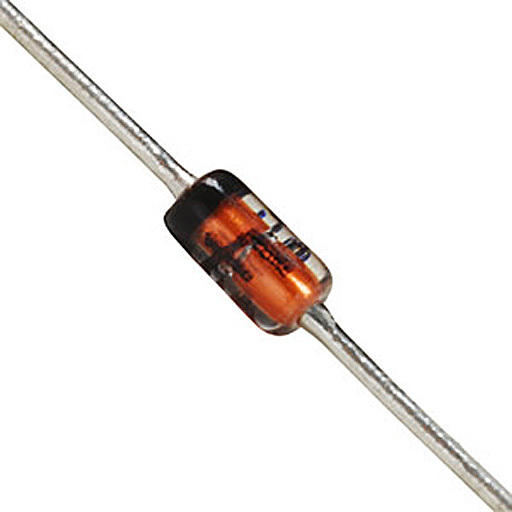 On the ends of each the blue wires solder the anode side of a silicon diode (the end without the black marking if using similar diodes to those pictured). In the finished job, I also put more heatshrink over the connections to the switch terminals. 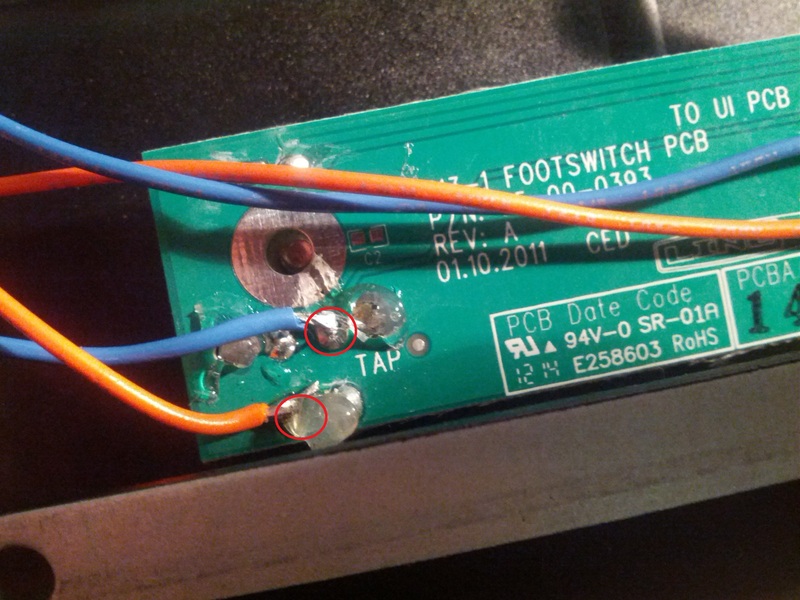 I placed a zip tie around all four wires about halfway between the new switch and the footswitch PCB. 7) Put it all back together! Install the switch with its body parallel to the logos (there are two standoffs there, I oriented mine with the switch terminals pointed toward the screen). Note: the switch comes with two nuts, make sure that you only use one nut on the top side of the unit and no nut on the inside, otherwise there wont’ be enough clearance between the switch body and the PCB. Install the various PCBs and make sure the quick connector and ribbon connector are secure. I applied more hot glue to the areas that I had sliced to disconnect the ribbon connector. That’s it! Now you can switch to the preset scrolling screen by tapping the switch, select your preset, tap it again! So much easier than trying to aim for two footswitches. Posted in General, Music and tagged guitar, jhv3, line6, m5, mods.